Runway Visual Range (RVR) is defined as the distance over which the pilot of an aircraft on the centreline of a runway can see the runway surface markings or the lights delineating the runway or identifying its centre line. Because it is not possible to measure RVR directly, instrumented RVR (IRVR) systems are used to provide an assessment of RVR to be used in determining airport operating conditions. 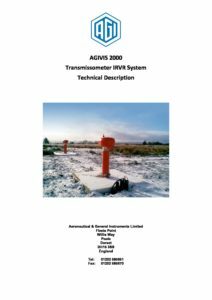 AGIVIS 2000 is a transmissometer-based Runway Visual Range (RVR) system that provides the highest possible levels of accuracy. The first generation of AGI RVR systems were developed in co-operation with the UK Met Office and CAA, and AGI has been supplying RVR systems for more than 25 years. AGIVIS 2000 systems are currently operational at major international airports certified for instrument landings up to and including CAT IIIB. 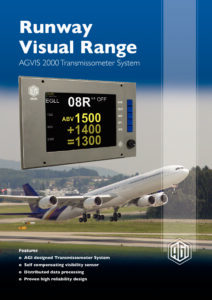 AGIVIS 2000 is fully compliant with ICAO, WMO and CAA requirements. The system consists of transmissometer field sites, background luminance meters, runway lighting interfaces, data processing equipment and archive storage and backup. 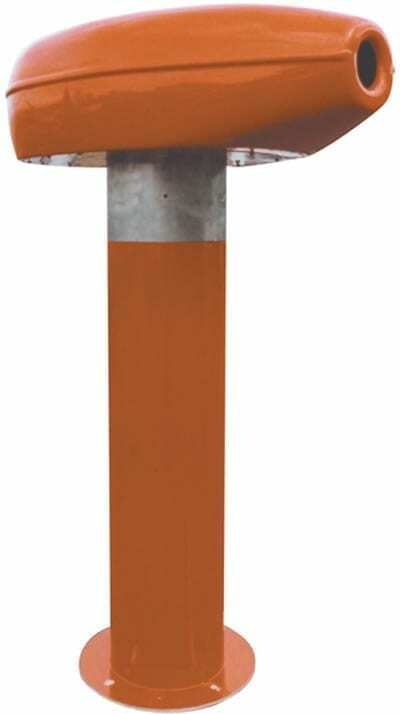 It can drive multiple full-colour dedicated RVR displays and may operate as a stand-alone system or integrated to an AWOS. Systems can be supplied fully installed with comprehensive engineering and operator training, and post-installation support is available worldwide.